One Mom's Moxie: Get a Capri Sun Big Pouch and Start Picking! 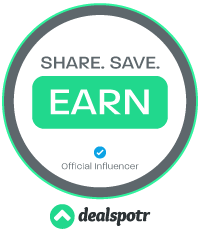 I love sharing awesome opportunities with you all and this contest is really awesome! Capri Sun Big Pouch and Mike Wolfe, creator and star of American Pickers on History have teamed up to give one lucky fan a chance of a lifetime! The winner of this contest, plus three of their friends, will get to meet and go on a half day pick with Mike Wolfe, creator and star of American Pickers on History. To enter the contest go to Walmart.com, entering is very easy. The contest also includes 100 winners that will receive the Capri Sun Pickers Prize Packs that will have a Messenger Bag, Magnifying Glass, Gloves, Bandanas, Flashlights, Journal, Pen, T-shirt, Kid Pickers Book, and Carabineers! Since my teenage daughter and her friend were going to pick at Grandma and Grandpa's backyard I put together a small picking kit for them to use. 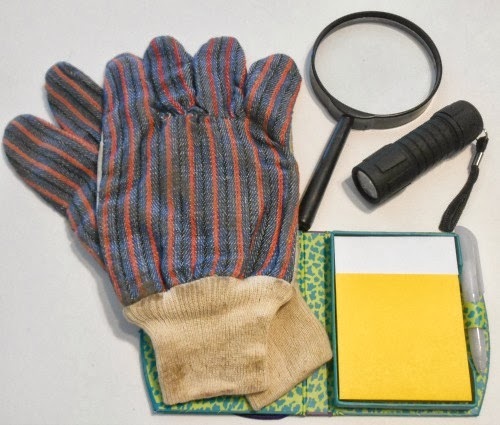 I put in gloves, a magnifying glass, a flashlight and a notebook with sticky notes and a pen. Earlier in the day we had gone to Walmart to purchase our Capri Sun Big Pouch. We found two of the three flavors that they offer so we bought their Capri Sun Big Pouch Fruit Punch and the Capri Sun Big Pouch Strawberry Kiwi. We arrived at Grandma and Grandpa's ready to pick. So they grabbed their picking gear and a Capri Sun Big Pouch each and headed outside to start picking! 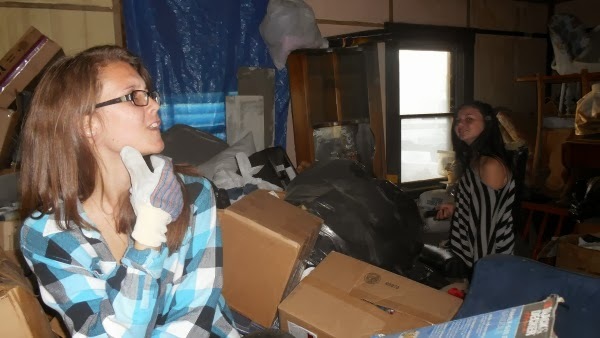 They were having fun looking through the piles of stuff that have accumulated over the years. 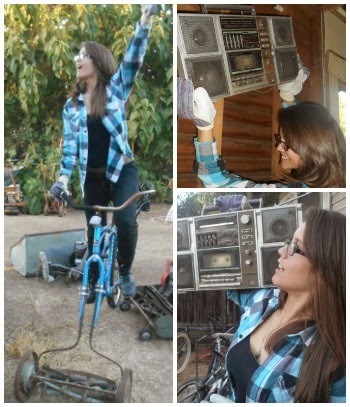 There were things I had forgotten about and some things that made us laugh like when my teen daughter found a boom box and called it an antique! Then there was the mower bike that looks very cool and unique. 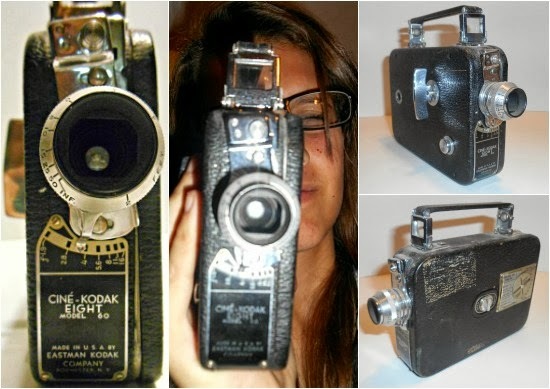 The one item that I loved seeing my teen find was an old camera. I had actually found the camera as a teenager at a yard sale, I never knew what happened to it until my daughter found it! I decided to enter the contest with the picture below. Picking can be done at a yard sale, thrift shop, a relative's backyard, and anywhere else that might have either an old item or an artifact are great places to pick. The teens had a fun time picking and I enjoyed watching them. 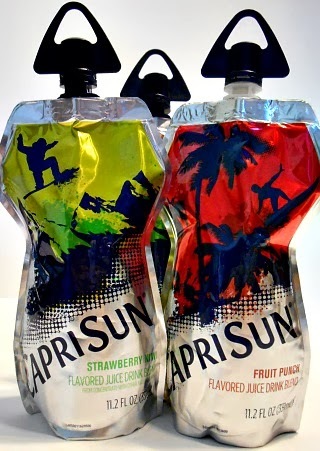 The Capri Sun Big Pouch drinks were such a big hit, my teenagers want me to stock the fridge with them. You can find all three flavors at your local Walmart. Don't forget to enter the Capri Sun Big Pouch and Mike Wolfe, creator and star of American Pickers of History contest! Once again you can enter by going to this Walmart.com page. You can also follow Capri Sun Big Pouch on their social media's Twitter and Facebook. Good Luck to you all! !